Hi guys! I’m just popping in quick for a little What I Ate Wednesday action hosted by Jenn at Peas and Crayons. Does it make me a lazy blogger that a majority of my posts have been link ups for the past few weeks?! I’m not going to sit here and “glorify” being busy but I have really had a ton going on between finishing Yoga Training and completing my final for that, work, and teaching my first classes! Anywho…here are my somewhat repetitive eats from yesterday! 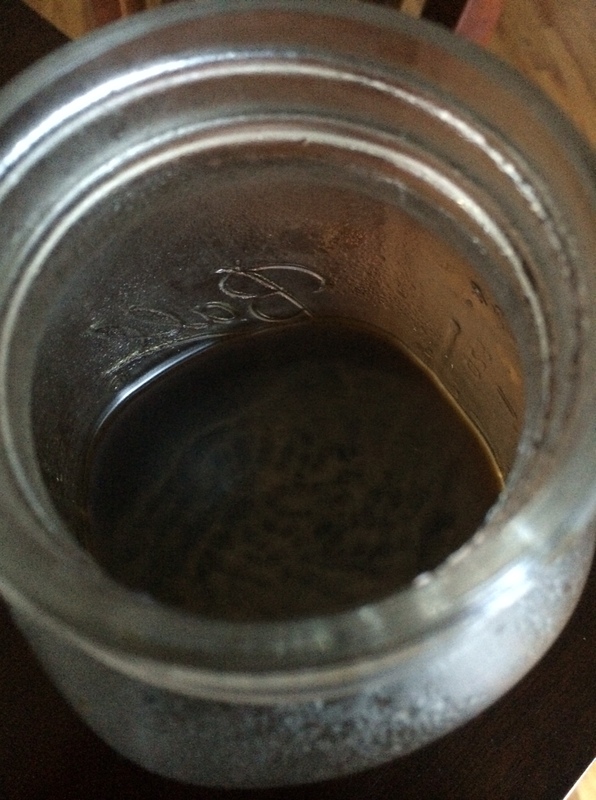 This week I decided to try and make my own cold brew! Thanks to one of my readers who gave me directions on how easy it was! You simply let coffee grounds and water sit over night and sift it through some cheese cloth the next day! I mixed it with some water and almond milk and it made for a great train beverage on my commute! 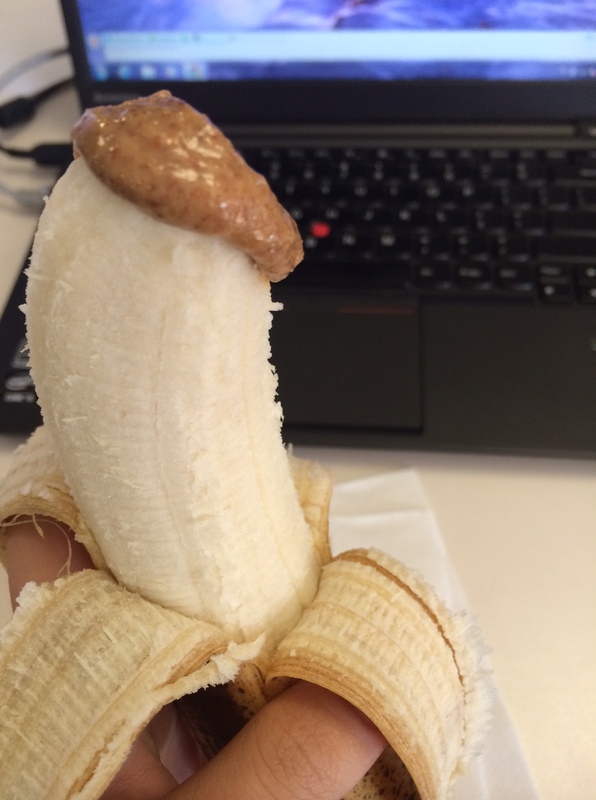 When I got to work I had a banana with some homemade almond butter. I like my bananas extra ripe, how about you? I know that the more ripe = the more sugar, but they’re just so much better that way! Happy Friday! I hope everyone had a fabulous week. The peak of my week was probably this gorgeous pork chop that we made on the grill. Our meals can get very repetitive sometimes, especially in the summer when all we want to do is grill! So I set out on the world wide web in a quest for some grilling inspiration. Not surprising that I landed on PaleOMG. 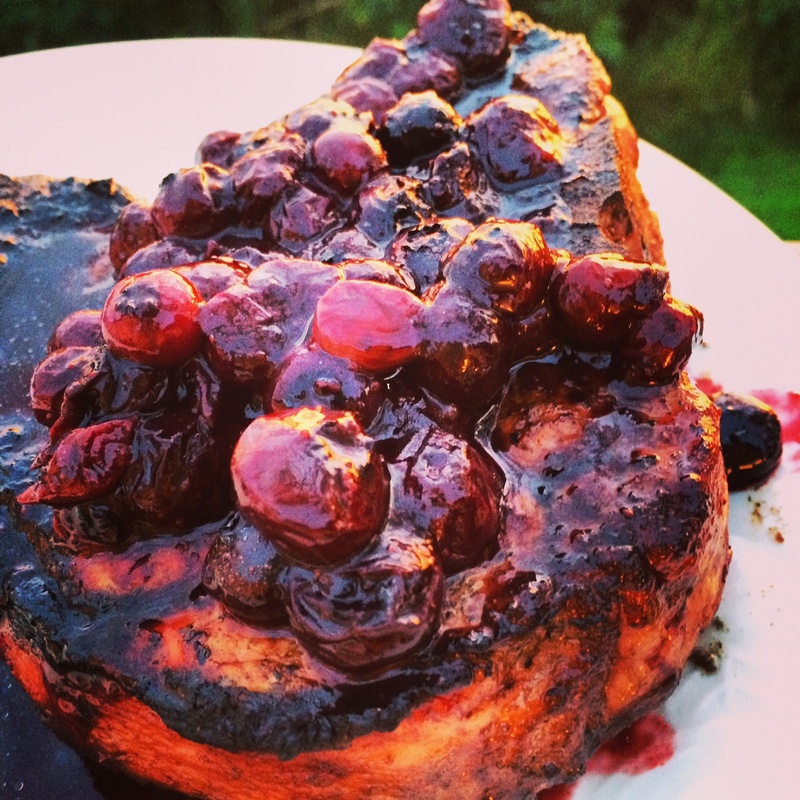 I stumbled upon one of her older recipes for Blackberry Glazed Grilled Pork Chops. These babies looked so delicious I had to try! It’s hump day! I figured I’d stick with my What I Ate Wednesday posts because they’ve been fun to write. Thanks Jenn for hosting! This week I decided I’d give you something extra yummy to read about and post what Andy and I indulged in over the weekend. Walrus and Carpenter is a southern inspired restaurant in the Black rock section of Bridgeport, CT. It has a rustic feel inside the restaurant. As soon as you step foot in the parking lot you can smell the smoker seeping into the air. They have an eclectic variety of small plates and sides, great craft beer, and unique cocktails. For our first small plate we got something that we’ve eyed before. 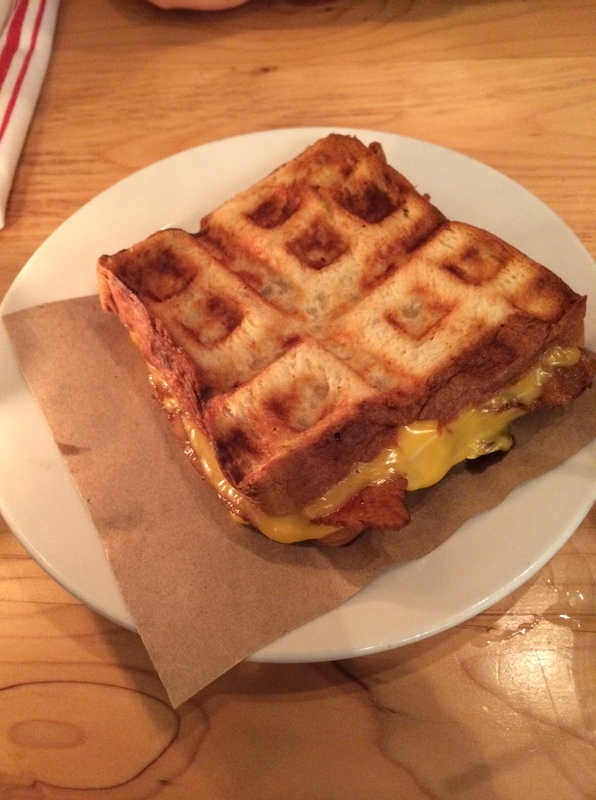 A waffle grilled cheese with bacon. So good! A little too big. Good thing I had the cave man with me.